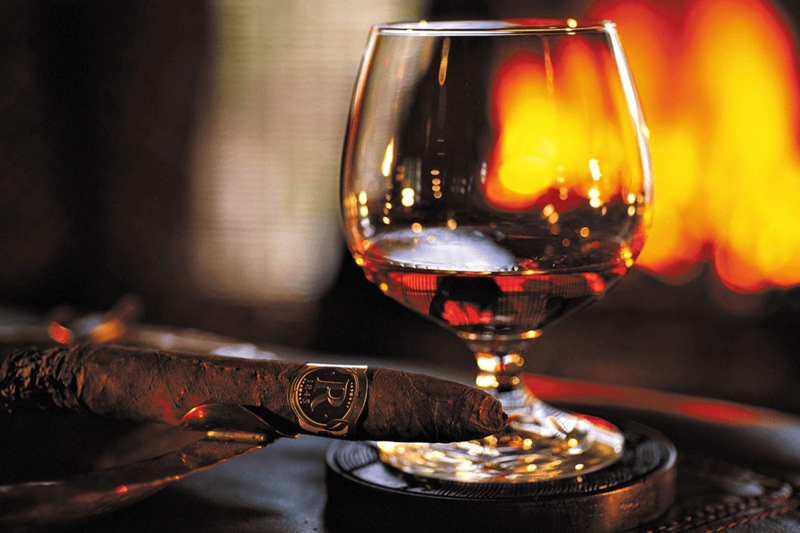 It’s easy work admiring Italian gentleman who impeccably turned out live and breathe the art of sprezzatura – an Italian word used to describe a certain nonchalance, a method for making whatever one does or says appear to be without effort and almost without any thought about it. Ironically, being impeccably turned out isn’t effortless but that’s the point – appearing like you just threw an ensemble on, and happened to look that good. Of course we are talking about clothing and footwear here but this level of anti-attention to detail spreads beyond the obvious and to men’s grooming. How a man’s beard is shaped without being over shaped, a clean shave, healthy skin or how ‘easily’ he styles his hair in the morning. This combination of nurtured style is something the Italians are masters of nowhere more than at Antica Barbieria Colla, a barber shop in Milan where this ethos of looking good is advocated. The company was founded by Dino Colla, a barber from Ferrara, who opened his barber shop Antica Barbieria Colla on Via Manzoni, 19 in 1904. Where among the trams, horse-drawn carriages crossing the streets and the first cars he developed a five-star barbering service for the gentleman of Milan. Colla’s success was largely due to his management style, realising that serving customers wasn’t his main duty but coordinating and training his staff was. 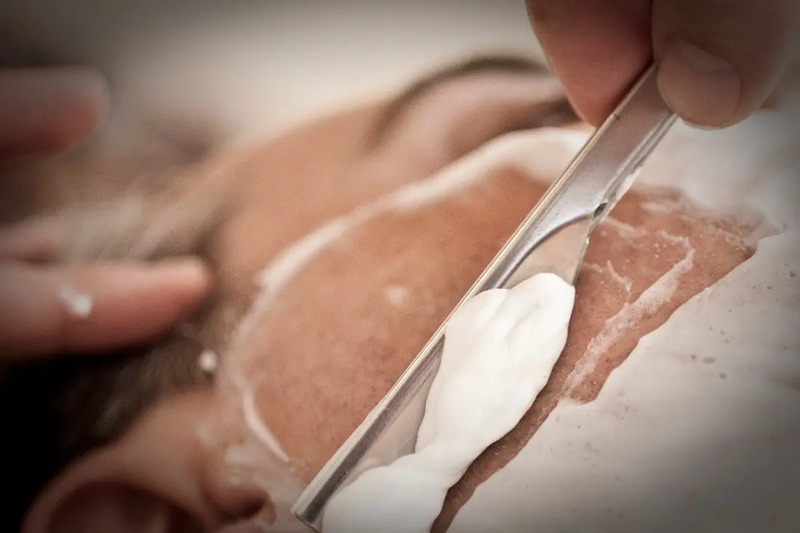 Thanks to his managerial approach not only did customers receive a first class haircut or a skilled hot towel shave but they were treated like a king too – an experience like no other at the time. So much so that after several years, the salon became a lounge for meetings, almost like a traditional British gentleman’s club. 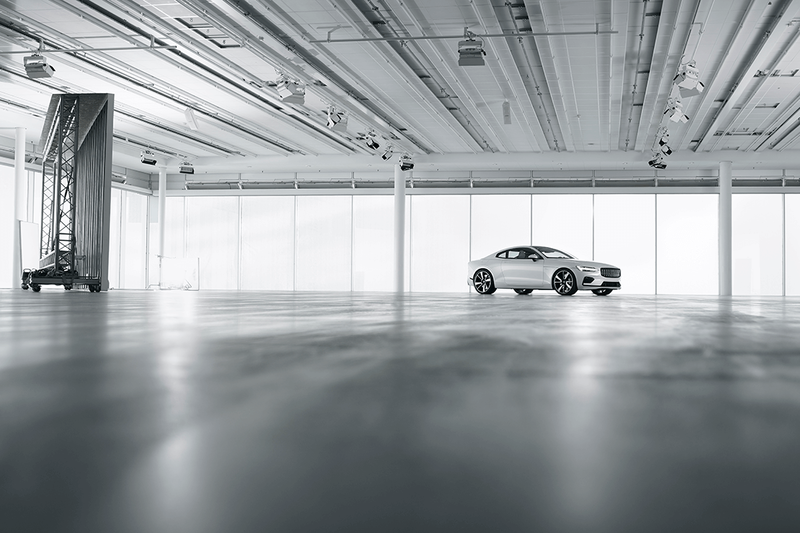 This recipe for success bought about a need for change, growth – a new premises. And in 1919 Colla decided that the barber shop would move to Via Verdi 2 opposite Teatro alla Scala. 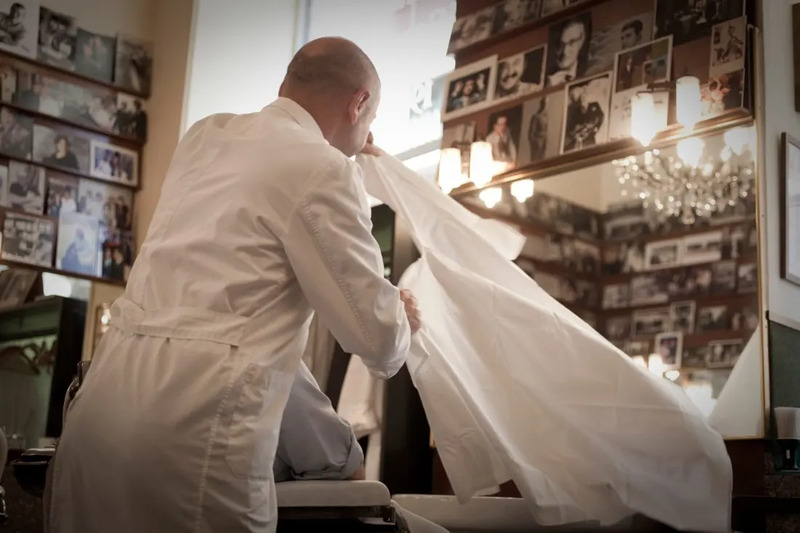 This new location saw Antica Barbieria Colla become an institution, known as the barber shop in town, with the best-trained team able to deliver the most impeccable service. Sadly however, Colla’s success in Via Verdi, lasted only until August 1943, when heavy WWII bombing razed Piazza della Scala and the entire neighbourhood to the ground. The shop remained closed for nine months but in April 1944, it reopened in Via Morone 3, the current location where the company continued to blossom and turn out the well heeled sprezzatura of Milan. 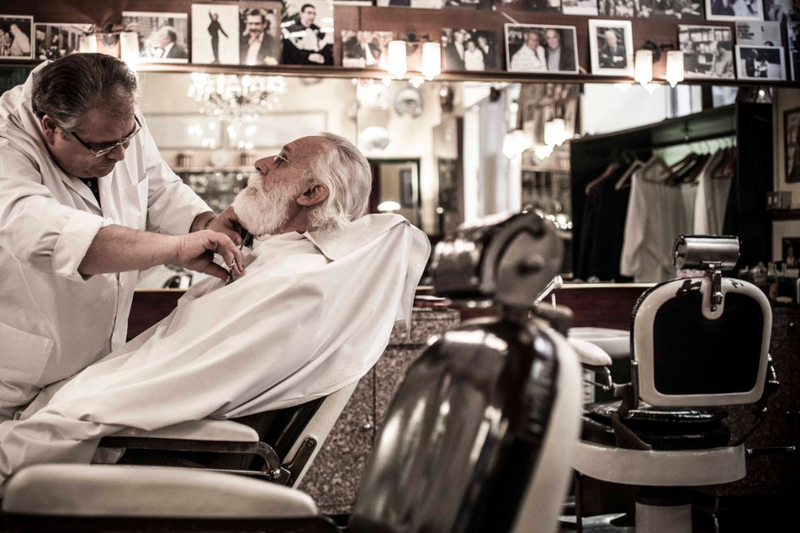 Important to the Antica Barbieria Colla story is the 1950s when a gentleman named Franco Bompieri joined the business as an experienced barber, and later became a partner and then the owner. 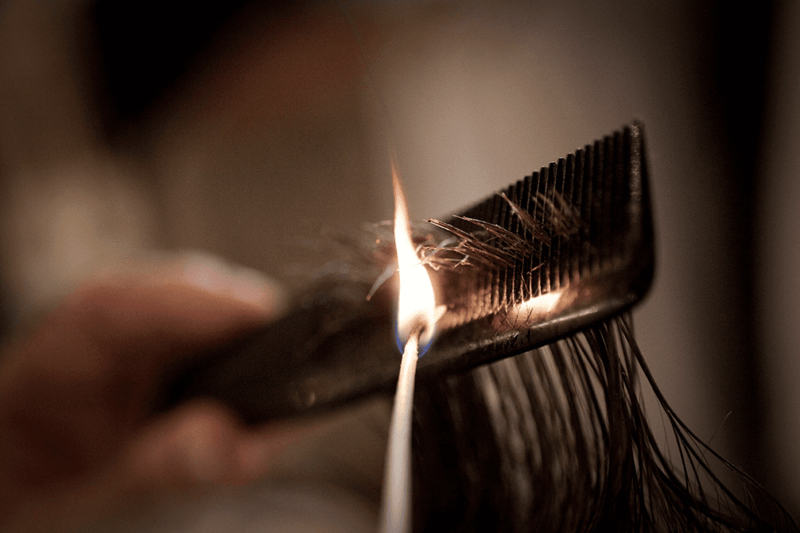 Crucially, Bompieri also treated shaving and cutting hair as an art and maintained the standards set by Colla in all areas and thus preserved the impeccable service and reputation of one of Milan’s finest men’s grooming establishments. 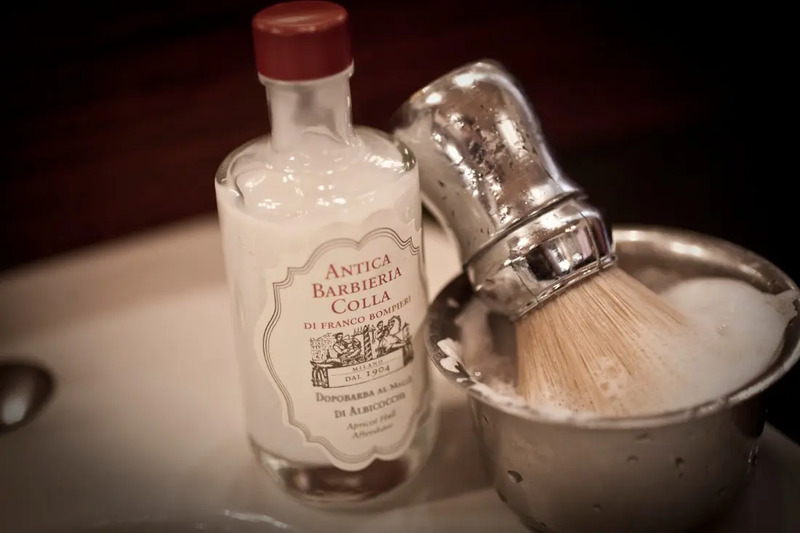 To truly understand the levels Antica Barbieria Colla go to, ideally experiencing the place for yourself would do the trick for their methods redefine what it means to have a haircut or shave. If not, then we’ve documented the experience below. Impressive isn’t it? 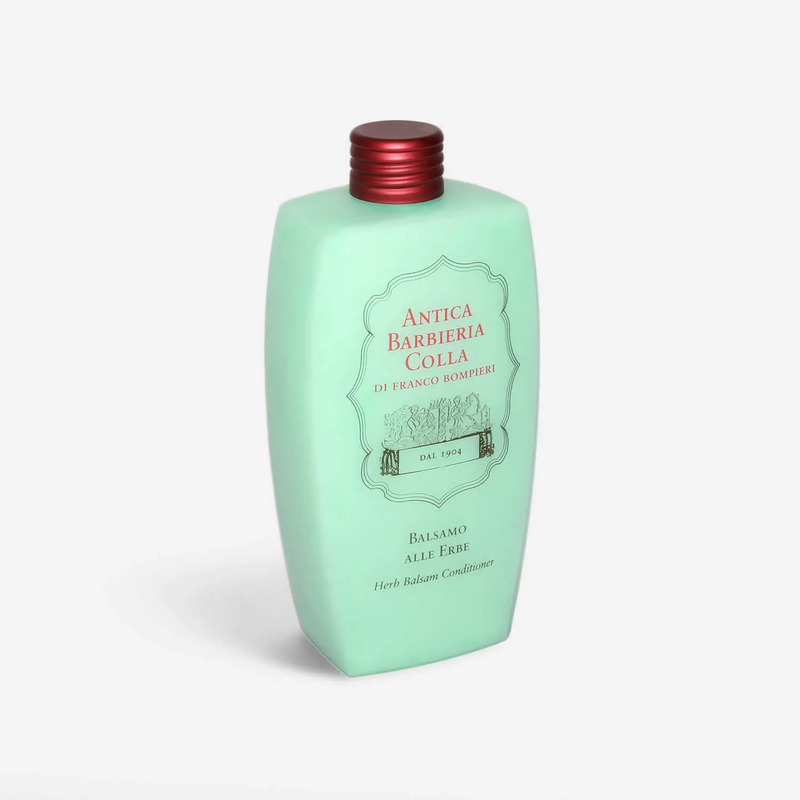 Imagine our joy reading the Antica Barbieria Colla story when we discovered they make their own products, and to the same level of quality as their famous service. Traditional, handmade Italian products used in the barber shop and available to buy for home use. Each is produced and prepared according to the traditional recipes and artisanal processes of 1924 created by Colla – with unique fragrances and recipes such as favourites: herbal conditioner, rum and egg shampoo, apricot hull aftershave, and capsicum and menthol lotion for a full sensory experience. 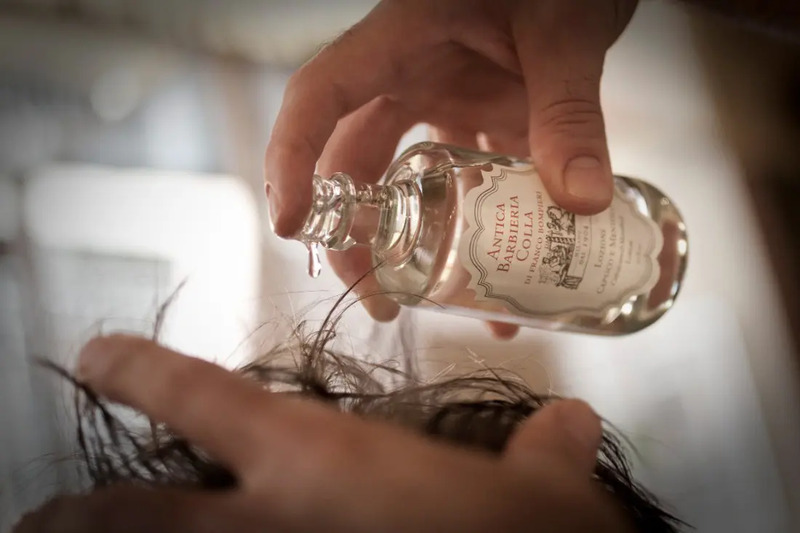 In addition, there are six lines of shampoos for different types of hair, a scalp massage lotion, aftershave milks, shaving cream and an ultra-nourishing conditioner positioned alongside a beard care collection. We got our hands on the Mallow Shampoo designed for brightness and volume and the Herbal Conditioner with a lusciously creamy consistency, it left our hair soft and seriously healthy looking. Both are lightly fragranced but not overly so with a fresh, clean scent. They truly are a superb duo of products and making showering a pleasure. While we haven’t visited Antica Barbieria Colla, we are grateful to have unearthed the brand and experienced, at home, our version of one of Milan’s greatest stories. Antica Barbieria Colla represents Italy gloriously, a time-honoured tradition with careful attention paid to detail, standards and service. It’s important to acknowledge that despite the brands’ long history it’s not a relic of the past but a gold standard for the future.